Islander Focus, a series of conversations with residents of Izu Oshima. 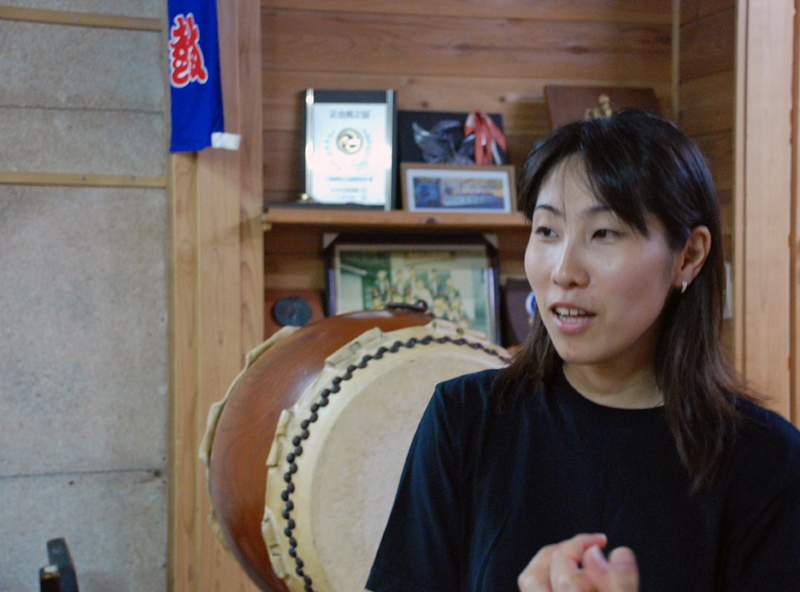 This time we speak with Ms. Shinako Kikuchi, who teaches Gojinka Taiko Drums, a traditional musical instrument of the island. We asked her about her life as advisor to the Oshima Gojinka Taiko Preservation Society as well as 3rd generation successor to Gojinka Taiko. -What made you start the taiko? As my father managed the Oshima Furusato Taikenkan (Then Oshima Folk Art Hall), I naturally started playing it in 3rd Grade. I remember secretly thinking it was cool for a girl to be playing the drums. I had a great team that pushed me to continue, and the idea of making it a career began to sprout when I was in high school. 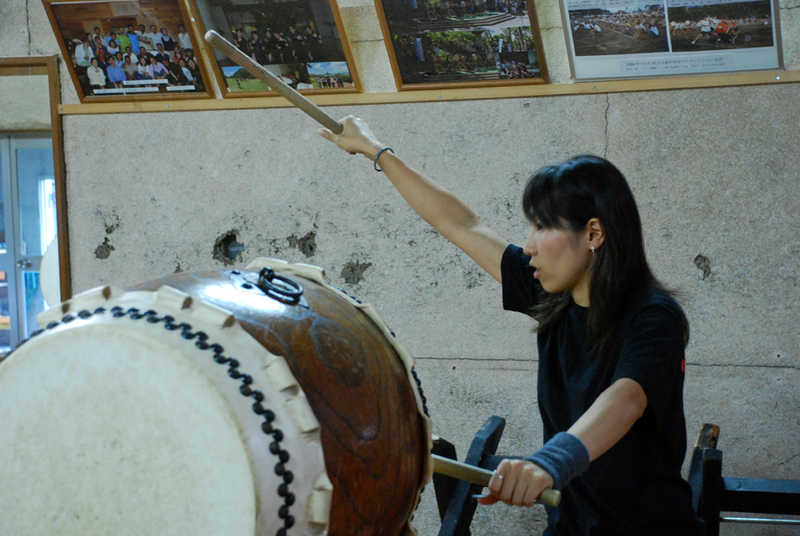 -What are some features of the Gojinka Taiko Drum? It was designed with the eruptions of Izu Oshima’s iconic Mt. Mihara in mind, and the midare-uchi is a beat that expresses just that. In order to perform the midare-uchi smoothly, the arms move in a circular motion. 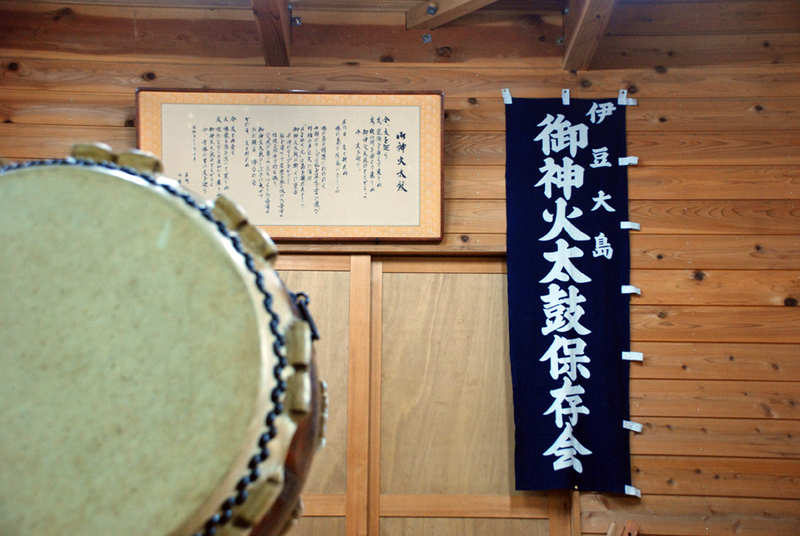 The drums are played at religious offerings at Shinto Shrines across the island as well. What’s hard is the transportation of the drums. Unless you use taiko drums that you practice on, it’s hard to deliver the sound and pulsations at your best. I try to carry it with me even for performances abroad. I am grateful for what I do when I receive compliments from visitors. It’s nice to be told that they have returned just to see you perform again. When I perform together with the kids I teach, and the show is a success, I can’t help but be happy with them too. I absorb so much energy from those kids. I find so much joy in what I do at times like that. I hope for it to be firmly established as the island’s art, and spread to the rest of Japan and the rest of the world. Taiko is a form of entertainment. It has a strong concept and I believe it has the ability to move people. When I am playing the taiko and think at the same time, I feel like I can be my true self. I want more people to experience the joy of Japanese drums as I have had the fortune to. 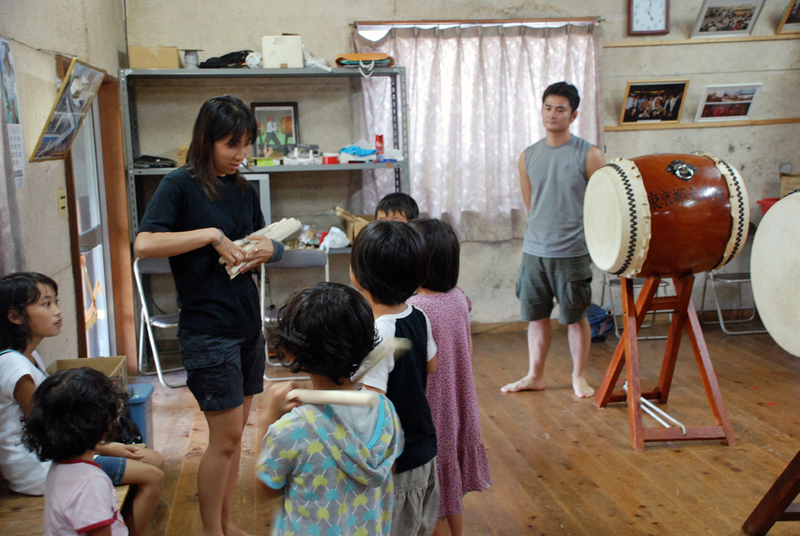 Taiko is a great way to mingle with other cultures. I continue my art with the hopes for my students to discover new experiences and meet many people through taiko drumming. 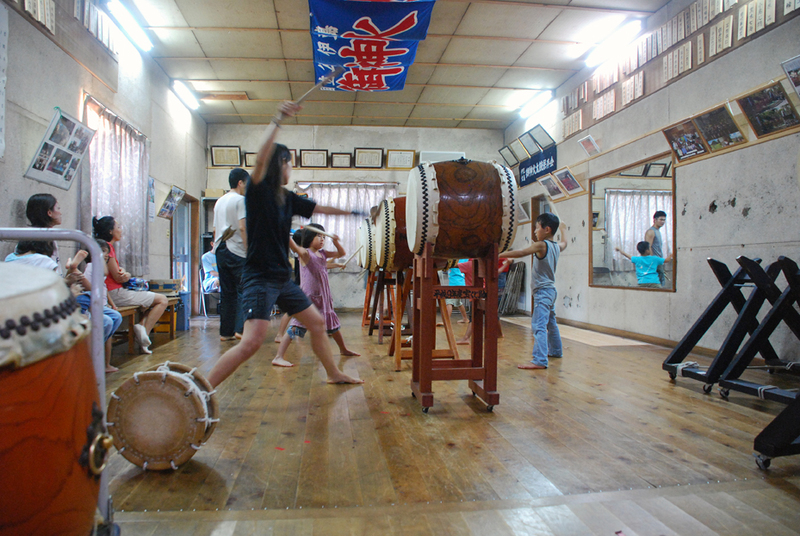 You can try out taiko drumming at the Furusato Taikenkan, give it a go if you’re interested! 伊豆大島 御神火太鼓 from yotsuba on Vimeo. 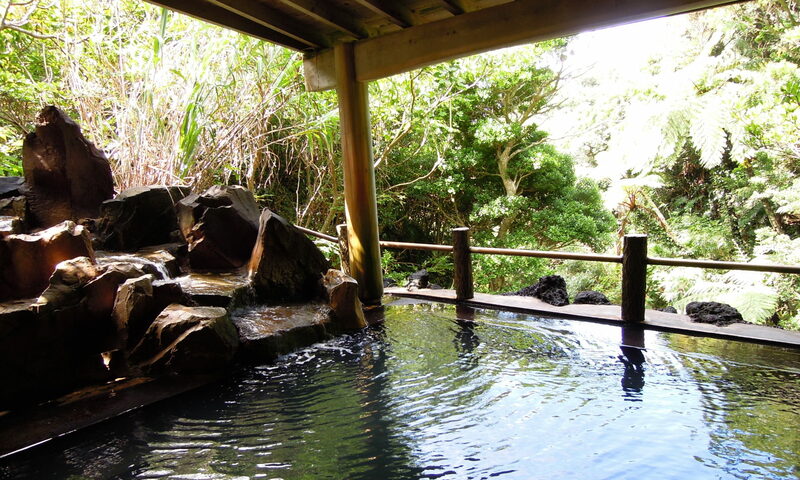 Watch the sunset while taking a bath in the outdoor onsen. To think that there is such a great place on Oshima! Truly a heavenly experience. At times you can catch a view of Atami in the distance too and it’s just so beautiful! Even though this is a tonkatsu shop, the ramen is highly recommended! I’ve only ever had their Sauteed Chicken (lol). It’s that good.